Paklap is one of the best Online Stores of Pakistan where you can easily shop for your favorite Gadgets, Cameras, Laptops, Printers, etc. Paklap proposes a shopping experience that remains unmatched in Pakistan. We import branded products from all over the world. The only thing that matters to Paklap’s team is our Customers. Thus, we have various payment options to cater for the convenience of our clients. You have a choice to send cash payments directly to our office at Paklap, GB-11 Techno City Mall, Off II Chundrigar Road, Karachi, Pakistan. In some cases, for the safety of our customer, to prevent any fraudulent issues and to process their order “Cash Payment” is compulsory. Such cases are when you live in a different city, your order is beyond our COD limit, or when you insist on paying cash before the delivery. 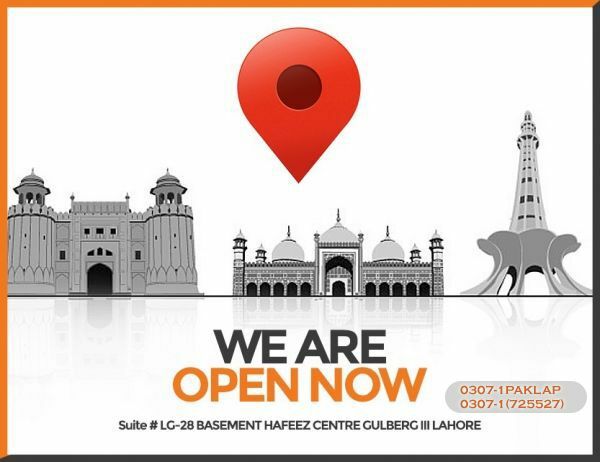 We are launching our offline stores in Lahore and Islamabad very soon. If you need any further information regarding cash payment, you can contact us. It is an easy way to pay for most of the people living in Karachi. If you find anything confusing, call or message us on Whatsapp. 3) Jazz Cash Vouchers, Mobile Account & Debit/Credit Cards. To facilitate our customers, Paklap & Jazz cash have collaborated for the easy payment gateway. There are a variety of channels to pay from if you choose the Jazz Cash option while placing the order which includes Jazz vouchers, Jazz Mobile Accounts, and Credit / Debit cards. For your convenience, Paklap has an option to receive payments at the time of the delivery at your doorsteps. COD will exclusively be accepted in the local currency of Pakistan, as demonstrated during checkout. No other currency will be accepted. When a COD parcel is dispatched, the courier will contact you within 2-5 days to verify the purchase, delivery location, and approved delivery time slot for your ease. Upon shipment, the carrier will secure the amount payable for the total order including delivery. But you have to send some advance payment to confirm your order as we import quality products that are limited in quantity. So if you like something, confirm your order immediately. In most cases, we require 10 to 50 percent advance payments, rest to be paid on delivery. If you find it difficult or you have any queries related to this, just feel free to contact us. You can ask further details related to this on Whatsapp. There are unquestionably no hidden charges of the products you purchase from Paklap. The prices posted here for all the things are all-inclusive and final. The cost you observe on the product page is totally what you pay. We give personal and close consumer service and experienced advice. Simply put, we would love it if you are 100 percent satisfied and convinced, and answer any queries and questions you may have. We only have 100 percent real and authentic products available on our website, www.paklap.pk. Paklap is an approved dealer for all the brands that are available here, so buy products with peace of mind. Need more details? Write us an email with the questions you have at [email protected], or give us a call at 03000-369890. Thank you, Paklap Team.